It's not out yet but I beta read this novel. I really enjoyed this novel and I'm sure you'll love Dane! It was a fun read, something I really needed. Also, it's different from what you can expect with a romance between an actor and a 'normal' girl. Quite unique. I didn't expect to enjoy this novel so much. 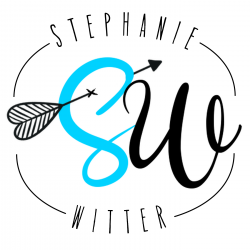 It's everything you're looking for in a mature young-adult novel and I'm sad I didn't keep it until next summer because it's everything I'm looking for in a summer read and more. All the characters bring something to this story and I've got a special shout out for a secondary one - Sean. Don't ask me why but I fell for this one. A perfect sequel to The Proposition. I love Emma and Aidan and I love their story. It's sweet, funny and with an ending you'll love, I'm sure. 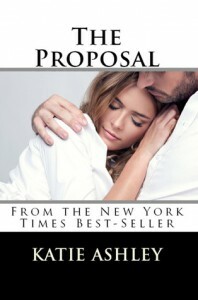 Katie Ashley's writing style is perfect for this story. It all flows perfectly and the dialogues sound just too funny to just read and never have a giggle escaping. I enjoy reading banters in books and Katie Ashley knows how to write them without breaking the rhythm of the story. I can't wait to read more novels by this author and I'm glad she's got more coming out soon! I heard great things about this novel the past weeks and yet I always had another book to read first. I really enjoyed reading it and I can't wait to read the next installment. I know this team thing is quite silly but I can't help it. So, I'm sorry ladies. 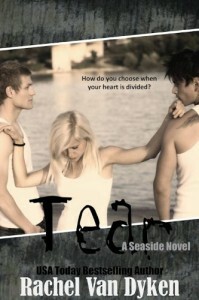 It's a fast read you may want to try if you're looking for a mature YA book with enticing characters. These two have a hard time to find each other and that's probably why I enjoyed reading it! 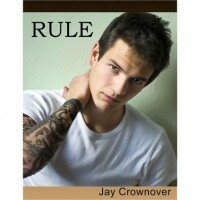 Rule is one of my favorite tattooed and pierced characters. Good story, good voice - in my opinion - and great characters. I'm sure to read other novels by this author. Can't wait for the next novel with other characters' stories. 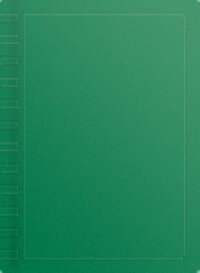 Awesome novel! I loved to follow the main character struggling to live her life without guilt and giving a real shot at this amazing relationship built first on guilt. 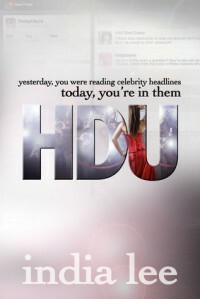 Moreover, I think the author wrote a wonderful story, believable where lies, rumors and bullies can really mess things up. This journey was wonderful and I discovered an author very talented to share emotions and well built stories through words. And just so you know, you'll add Jordan to your book boyfriends in no time. Can I write that I'm head over heels with Scott?! The story is not too long and not too short. For me, it's the perfect length to build up the complicated relationship between Scott and Emma. These two master the game of cat and mouse! I loved to read their struggles. 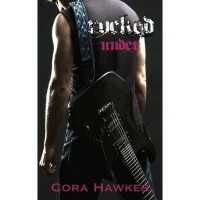 But maybe I'm not the best to judge because I love my rockers in novels and Scott Mason is one hell of a bad boy rocker. So you get it, I really enjoyed reading Rocked Under and I can't wait for the next one. 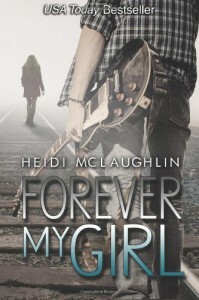 The characters are funny, thrilling, moving and make you want always more to the story. I'm sad to leave them now that I'm finished with this book. It was that great of a read. And the story is well built, fast paced and written amazingly well to hook you from the very first chapter. It sounds believable and I couldn't put my iPad down. Without a doubt, the author knows what she talks about to be in a relationship with a soldier. Amazing! I can't wait to read more of this author. If you're looking for something in this genre, don't waste another second and buy it now. You'll fall for Ronnie and Kale relationship and laugh at their dialogues and swoon too! When I first saw the cover and read the blurb on Facebook I knew this book would be for me. And I'm not disappointed at all! But seriously, the author wrote a wonderful novel where the characters don't fall into each other's arms right away and I like that. She doesn't take the easy road for them and that's why I read it so fast when I should have done other things instead of reading! Her story drew me in right away. Seriously though, I heard great things about this novel on Facebook and I'm glad I read it. It's fast paced, it is a quick read and is entertaining. If you're looking for a spicy novel with a hot greek guy, you can read this one. But be careful, you'll probably blush a couple of times. I'm curious to read the sequel now. Colleen Hoover knows how to put emotions into every words she uses and in Hopeless she outdone herself. I'm not prone to tears but I barely contained them many times while discovering more and more about Sky Holder and even Les. I knew it would be emotional before I started it but I never expected to feel so drained and yet so awed. It's amazing to see these pieces of lives sounding so true in their most ugly parts but also in their most hopeful ones. 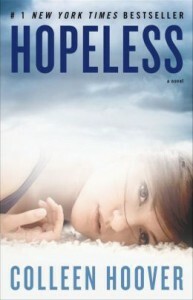 Hopeless is a glimpse into complicated issues without ever being judgemental. Nothing is black or white in this novel. Nothing is easy either. But everything is addictive. I'm so glad I didn't wait any longer to read it and I recommend to everyone no matter what you usually read. It's a must read for more reasons I can list here. This novel is wild, is hard, is harsh, is crazy, is emotional, is addictive and is NOT cut. I heard many great things and I wanted to read it just to see what it was really about and after I finished it I was like WOA. That's the extent of what my brain was able to give me. One thing is for sure, this story is unique. You may not like it, you may find it too crude or something like that, but I can not imagine you being unmoved by Deuce (what a great name!) and Eva. And I LOVED how Deuce and Eva crossed each others path over the years. It's emotional but I knew it would be knowing this author. I'm not a fan of "insta love" but as it was brought up and how hard the characters had to fight to just exchange a kiss, it worked perfectly. Cassidy and Gage are incredibly cute and I fell for Gage right away. Moreover, some parts moved me like I wasn't prepared to be and I'm not talking about the romance side of the novel. Cassidy's life was a nightmare for long and it was amazing to follow this character in her new life she's building from ashes. Cute, sweet read. I finished it in one day so if you want a new-adult book not long to read, you may like this one. First, I think it's my favorite one in the series. But that doesn't mean I'm not mad after reading it! Between the relationships, the friendships, the mysteries, the drama and every single thing in this novel, I was unable to stop reading. It's one crazy up and down book and we're so going to have one hell of a sequel. I didn't know it was possible to be even more a fan of Jennifer L. Armentrout but after Opal, I know it is, indeed, possible.